Good Junior Church Service which involved Brownies and Guidesas well. 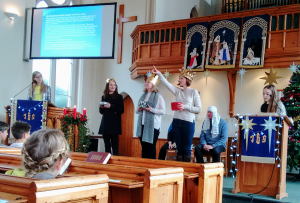 The story of Christmas was told with a twist. 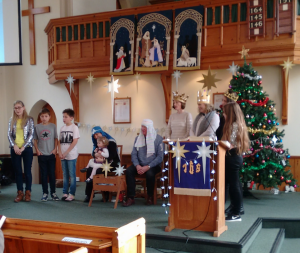 The children told the story and the adults ‘acted’.